Wireless WiFi/USB Digital Microscope for iPhone/PC - Oasis Scientific Inc.
Vividia UM520 Wireless WiFi/USB handheld digital microscope for iPhone/iPad, Android Phone/Tablet, Windows PC and Mac Computer can be connected to iPhone/iPad, or Android phones or tablets through WiFi and appropriate app (either "ImScope" or "MicroWatch"). The magnification ranges from 1x to 500x. With app, one can preview live images, take photos and record videos. 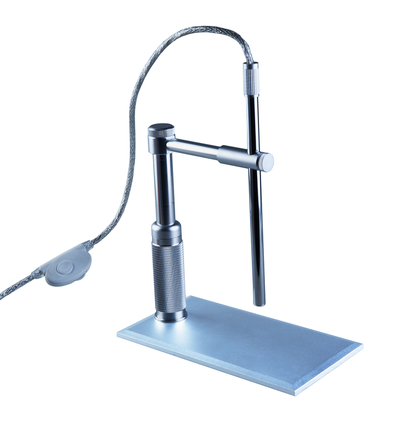 Vividia UM520 Microscope can be connected to Windows PC, MacBook, Android device through USB cable. 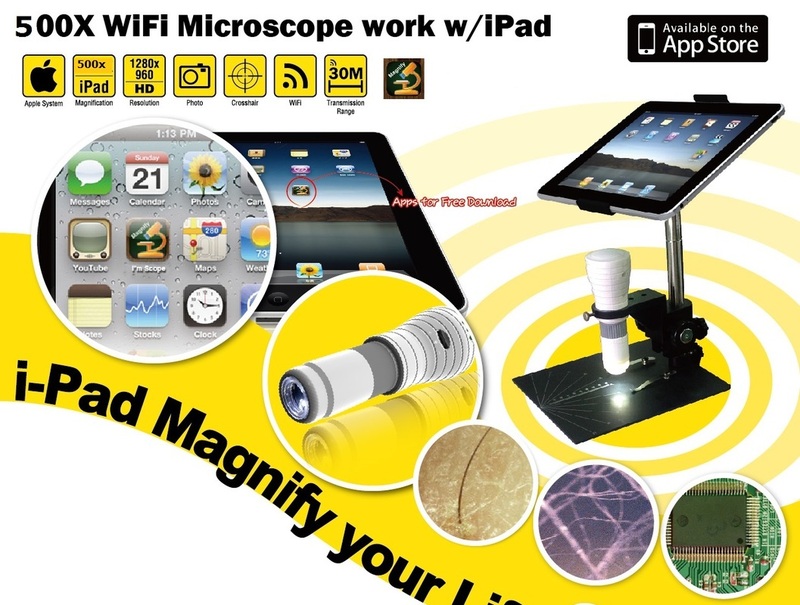 This newly developed wireless WiFi/USB handheld digital microscope works perfectly on iPhone/iPad/iPod Touch. 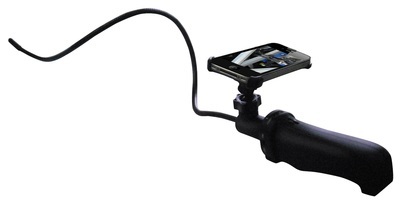 It sends the camera video to your iPhone using Wi-Fi technology, allowing you to view the live video directly on the iPhone screen. 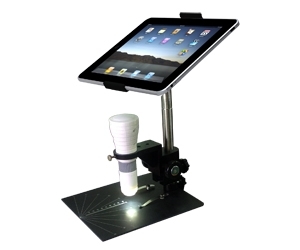 It is convenient, easy to use, has the ability to view live video and capture images in high magnifications. The captured images can be saved and shared. 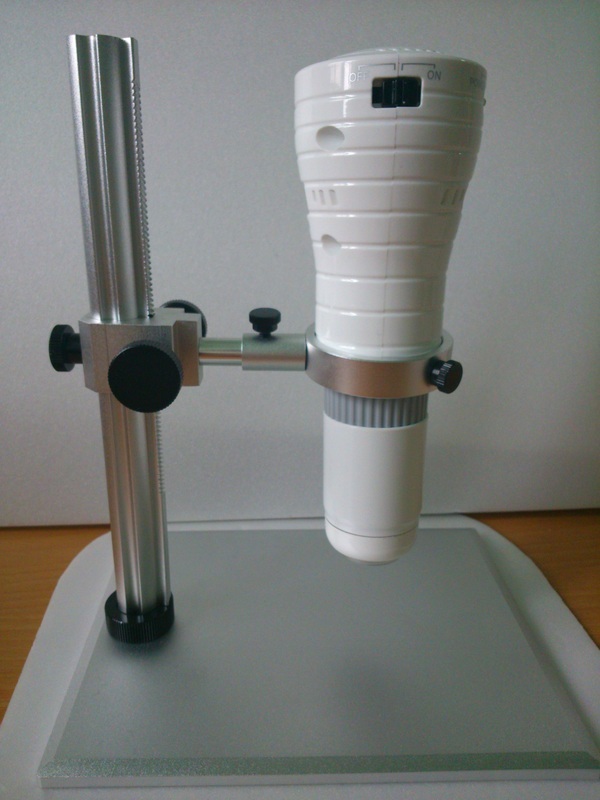 This microscope also works on Mac/Windows via USB. 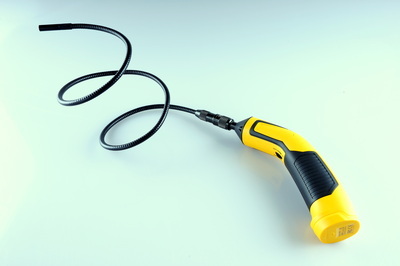 Plug microscope to your computer (PC) with USB cable, and view the live image right on your computer screen. 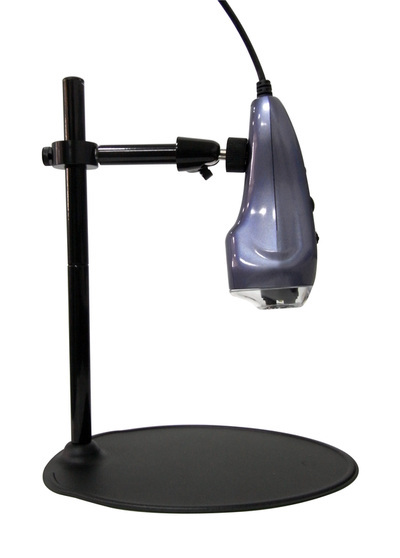 The software included in the package is for Windows system, supporting image and video capture and instant save. For Mac user, use built-in PhotoBooth or FaceTime software. This microscope comes with a metal stand with height and angle adjustment ability. 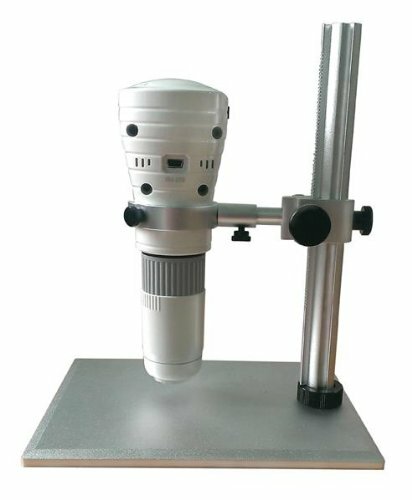 Vividia WiFi Wireless/USB Microscope is ideal for a variety of applications including textile inspection, detailed repair, printing inspection, computer parts inspection, living creature examination, reading aid, dermatology (skin/scalp), and collectables examination (coins, stamps).